While some people freak out about how cool the new open-world Zelda looks, there's a segment of the fanbase that is currently debating one thing: could it be possible that Link is a girl? Of course, it doesn't help that there's a quote floating around by Eiji Aonuma about the character shown in the reveal trailer. 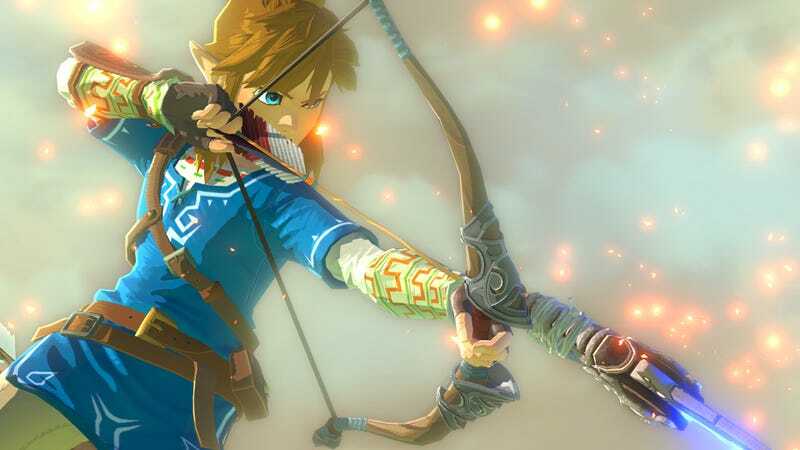 "No one explicitly said that that was Link," Aonuma vaguely teased in an interview with Venture Beat. It's given rise to another theory: perhaps the person we see in the trailer isn't Link, but rather Zelda. Who knows! Right now, the way people are picking apart features makes me feel weird and slightly uncomfortable. It shows that people have a hard time dealing with male characters with feminine traits, and it's really telling of how strictly we classify things in accordance to gender norms. That's a shame. Who says ponytails and earrings are a thing only girls can wear? It's especially baffling when previous male links have things like earrings before. But on some level I think the discussions are happening because people would genuinely love to play as a female character. There's a definite tinge of "wouldn't this be cool for Nintendo to do?" that trails most of the discussions I've seen, and it's often followed by a slightly defeatist "naw, Nintendo wouldn't actually do that...right?" If Link turns out to be a girl, that would be rad and novel. And if not, hey. That's fine too, because I'm totally into the new Link. He's kiiiind of hot.